Another extreme blue star in the Carina Nebula. The main sequence stadium of such a mammoth star only lasts about 40 000 years. 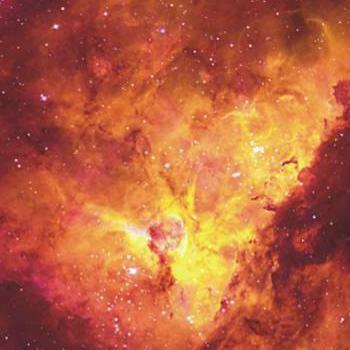 Extract from the Carina Nebula. In the center is HD 93250, below it Eta Carinae and at the right is HD 93129.